Interests, hobbies, obsessions, perseverations etc: Music. 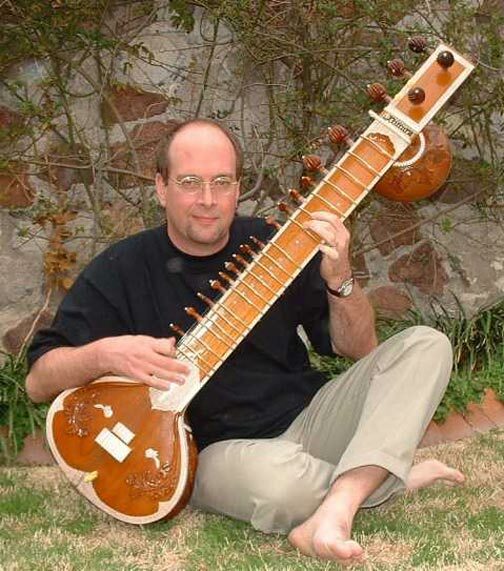 I play trumpet, bass, didjeridoo, sitar, thumbpiano, tabla and piano. I like world beat, reggae, jazz but nothing too crunchy or loud; mostly, quirky, happy sounding stuff. I also enjoy taking photos, writing poetry and mountain biking. I cook and have done so for a living. Profession, area of study, etc: Radio Program Director and Morning Show Host. I have had a life long obsession with radio and Asperger's has been a tremendous advantage in helping me "hear" what radio will sound like as I create music playlists, work on what will be announced, etc. I would say it has given me a very unique advantage, along with the single-minded focus needed to be successful on a sustained basis. Fortunately the radio business is full of creative folks who tend to be a little non-NT, so I enjoy a somewhat forgiving work environment. There are stressful aspects to being in a management position, but through the great example of my Dad, I have been able to acquire enough people skills to cope or at least fake it. Marital status, # of kids etc. : I am married to an NT wonder-woman who is very supportive and understanding with a really cool 13 year old son. Comments: In me, Asperger's is mainly manifested in a very pronounced veil which obscures my ability to deal with social situations. Some folks I have a great deal of difficulty communicating with in situations outside work (at work I can usually rely on my acquired expertise to operate comfortably along with the fact that I am swimming with some similar fish). All through childhood, I was a finger flapper until I became so frustrated and ashamed by this compulsion to retreat into my own world, that I joined the Navy to force a behavioral change in myself. I did not perform well in school unless the subject matter was among my list of obsessions (music, geology, paleontology, poetry, etc.) Bootcamp totally sucked because I had trouble marching in a non-clumsy way and I had absolutely no desire to advance in rank, but I had a great job cooking on a ship. The structure helped as does the regimented schedule of my current work. I generally like people, but typically do not seek the company of others. My conversation tends to be short comments out of left field on subjects that others bring up, interjections and a lot of puns or wordplay all of which fits in with my work in radio, but rarely am I doing much of the talking. There is at least one other AS person in my gene pool and I would like to help him if a can, because I think he is struggling a bit, but I am just now embracing the uniqueness of this condition myself. I scored a 41 on the Wired AQ test with an IQ of 133.